Professor Shuji Nakamura, seen here earlier this month, will be awarded one of Japan’s highest award early next month. 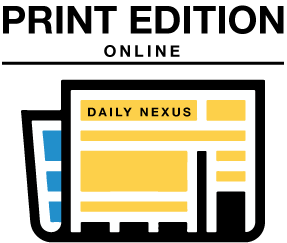 John Clow/Daily Nexus. Materials Professor Shuji Nakamura, who was recently awarded the 2014 Nobel Prize in Physics, will receive Japan’s 2014 Order of Culture Award by Emperor Akihito in a ceremony at the Imperial Palace on Nov. 3, which is also Japan’s national Culture Day. Established in 1937, the Order of Culture Award is one of Japan’s most prestigious awards and is conferred to awardees who contribute significantly to the nation’s culture. Nakamura is receiving this award for his invention of the blue light-emitting diode, or LED, together with Japanese colleagues Isamu Akasaki and Hiroshi Amano. Chancellor Henry T. Yang said the university takes pride in Nakamura’s technological innovation and the consequent positive impact he has had on the world. “The Order of Culture award is a significant acknowledgement that Professor Nakamura’s invention of the first bright blue light-emitting diode will continue to be recognized the world over for its long-lasting and far-reaching impacts on our global society,” Yang said in an email. According to Yang, in addition to Nakamura’s “unparalleled breakthroughs” in physics, materials science and technology, his invention of the LED has led to affordable energy access for citizens across the globe. “By making white LED lighting a reality, he has opened the door to affordable, energy-efficient lighting for every person in every nation– a monumental contribution to all of humankind,” Yang said in an email. 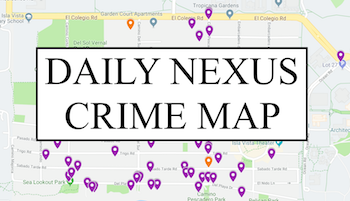 Watch the Daily Nexus‘ interview with Professor Nakamura here.